The entrance hallway into the Mayo dressing room provided a small bit of welcome shelter from the elements for James Horan on Saturday night after he had spent the best part of the previous two hours putting his imposing frame square against the wind and rain that ripped right down the heart of McHale Park all evening - while instructing his players who were battling as much against the weather as their opponents on the field. The Ballintubber clubman was pleased to get the league campaign off to a winning start, particularly with the conditions the game was played in. “I’m delighted to get the win - it was hard fought, Roscommon are playing defensive football this year, you saw that in the FBD final and in conditions like that when you throw that all together it is going to be a scrappy type of affair. But I think we did a lot of things right today. I thought we were good in the first half even though we were 0-5 to 0-1 down. “I thought we held possession very well and we were a bit shaky at the start of the second half and we kicked a few wides, but I thought started to dominate the game then and should have closed it out by four points, but let in a late goal unfortunately - but there is still deserved to win. “There was a lot of breaking ball around the middle third of the filed and I think we cam up with it more often than not. The battle to get into the match 26 as the league goes on is one that a lot of people will be keeping an eye on as the weeks rolls on. Horan’s subs bench with the exception of David Clarke, David Darake and Andy Moran had a very youthful look to it with the likes of Colm Moran, Oisin McLoughlin, Fionn McDonagh, Matthew Ruane, Michael Plunkett and James McCormack named in the reserves - while Brian Reape and Conor Diskin got their chances to impress from the start. Getting into that match day 26 is going to be an intense internal battle Horan believes saying about his squad: “We have Kevin McLoughlin and Chris Barrett training last night and doing it very well, we have a couple of other guys that would not be happy to not be in the match day 26 so they will be pushing hard. We’ll be training Tuesday and Friday and see how that goes. 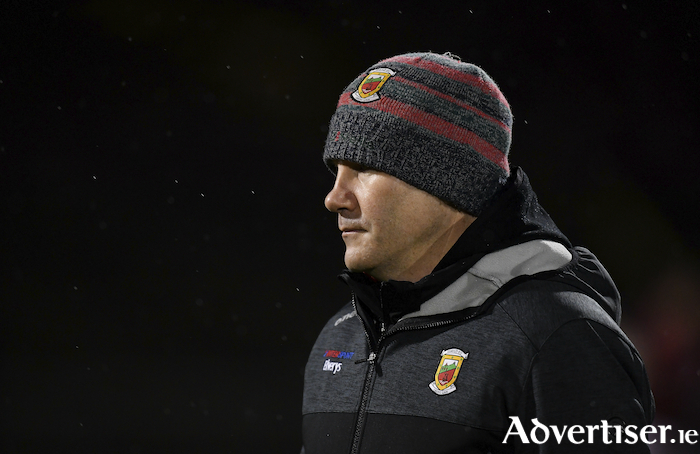 As for that being a win that can kick-start Mayo onto better things as the season progresses, it’s only a first step, but a good step he thinks. “Well hopefully, we are going to Tyrone next week and you know a performance like that will not be near good enough. Today was just about winning a game of football in tough conditions against a hard team that are full of confidence after the FBD and are delighted to get the win.